Feel free to color the card using crayons, markers, colored pencils, or just leave it black and white. 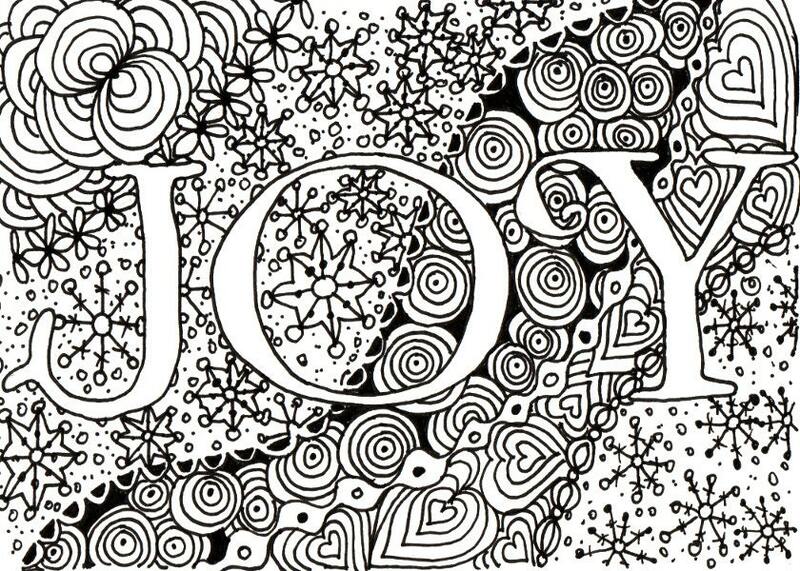 The artwork featured on this card is from an original Zentangle® inspired drawing I created. The Zentangle Method is an easy-to-learn, relaxing, and fun way to create beautiful images by drawing structured patterns. It was created by Rick Roberts and Maria Thomas. "Zentangle" is a registered trademark of Zentangle, Inc. Learn more at zentangle.com. Love this card! 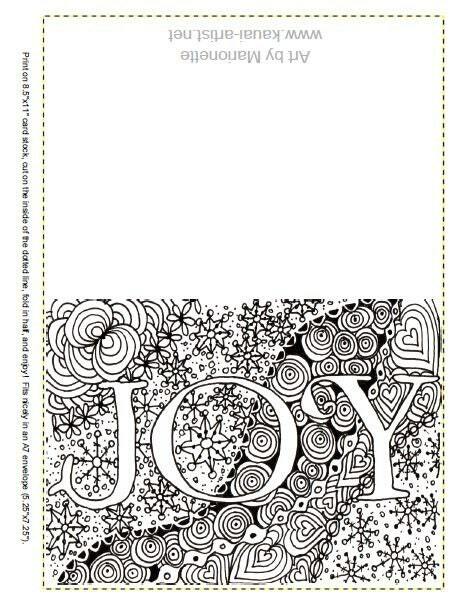 It is filled with enough joy to be spread through the card alone that it would even be fun for the recipient to color it in! What fun Christmas and Holiday "doodles"! Got them for my brother to color and make his own Christmas cards! Perfect.